Bowled Reno over the weekend. Yeah it was a tough shot for sure. Bowled horrid in team. Couldn't find a target. At 1st I was moving right to get into more oil. Was throwin up the 7 board at one point (up an at em). When that dried up had to move deep inside. Had to throw between 3rd an 4th arrows to get it into the pocket, course trying to figure that out took several frames an several splits along the way. Ball was just jumping too much and yes I was using my lesser hooking ball. Finished w/ a dismal 476. Fortunetly couple of the other guys bowled well (2 straight ballers) so we will actually cash in team. Doubles/singles was much more playable. The longer oil helped keep the ball from over-reacting. I was able to get my first 200 gm of the tourney. Did hafta slow the ball down a hair to get it to hook into the pocket though. Just barely got above the low-to-cash line in doubles. If that creeps up any higher, I may not cash in doubles. Should cash tho in singles. Mid to upper 500's is what I shot in both. So looking like i'll cash in every event (cept all events). 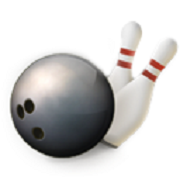 I guess 1 good thing is I lowered my overall avg so next year I will NOT be bowling in the upper division. Good deal dalion, I have yet to break 190 in two years. I probably needed to slow my ball down too. I was hitting the pocket but the trajectory was not correct. There's always next year for me. U of O Alumni (Tualatin, OR), which includes a pair of father-son duos, took the Classified Team lead this past week after games of 923, 911, and 876 for a 2,710 total. 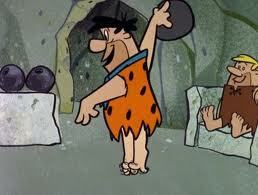 It was only the second time the group has bowled together despite a total of 39 years experience. Originally Posted By: Richie V.
923, 911, and 876 for a 2,710 total. Very impressive score on those conditions for a classified team. My regular division team barely cracked 2500. Among other things, he found it odd that Jodi Woessner is the only name that stood out among the 123 bowlers that bowled a 700 series in singles (also counting the lone 800 in the event). I wonder when the last tournament with only two 2100s was. And if Buttruff holds on for the win, it would be the lowest winning All Events score since 1988 when Rick Steelsmith won with 2053. And with scores being even lower than the were last year, what's that say about Robert Bures' leading 815? That's such a big performance, I hope he gets a lot of credit in the press when he wins. Walter Ray made his Open Championships debut earlier, and, as Riggs posted on Facebook, Pete Weber, fresh off of four consecutive PBA50 Tour wins, will return to the Open for the first time since 1980 this weekend. The day after I say this Matthew Gilman shoots 814. That's the highest non-winning singles series since 2011, when Matt Weggen shot 826 to win and Kristopher Prather had 818 for second. Justin Dunn (23, R, Deland, FL) helped his Team Harvey II team overcome a slow start by putting up a closing 300 game to leave his team just outside the top 10 (3,090). Chet Wigal III (29, R, Groveport, OH) confesses to having his love for the sport dwindle, but he may have found renewed enthusiasm after putting up a 661 set to take the Classified Singles lead. BowersBowlingTour.com (Bel Aire, KS) put together games of 1,004 and 1,178 before closing with the highest team game to date in the tournament, an 1,195, to finish with 3,377 and take the Regular Team lead. The members of the group are all former Wichita St. Shockers.